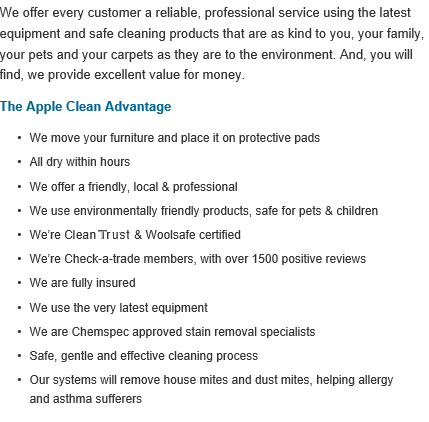 East Grinstead and the surrounding areas contact the team at Apple Clean today! Hi, I’m Jonathan and for over 25 years I’ve been supplying carpet, curtain and many other cleaning services to homes and businesses in and around East Grinstead. My beliefs have always been that the best way to success with a local business is to offer an exceptional service which is both professional and personal, giving great customer service and achieving excellent results. Give me a call today and I’ll explain what we can do for you and I’ll give you honest and realistic advice. At the same time you can get an instant no-obligation quote. 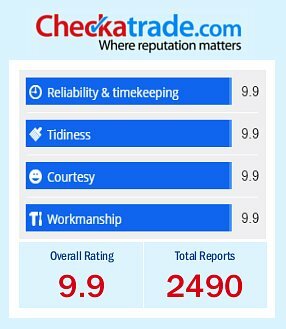 We are very proud members of the Check-a-trade scheme as it enables you to see certified and genuine reviews from past customers in and around East Grinstead. Give us a call us now on 0800 587 4571 to find out more about the cleaning services we provide to homes across East Grinstead and how we can help you. Apple Clean is a locally based, independent business with over 25 years’ experience providing high quality and friendly cleaning services to both homes and working environments across the South East including the area of East Grinstead and further afield. Whether you feel your house needs a regular clean or you have a particularly tarnished set ofupholstery that you would like our experts to have a look at, with years of experience Apple Clean provides an excellent service to all our clients. We have worked hard to build up an outstanding reputation across East Grinstead and with extensive experience we provide specialist cleaning services that are second to none. It is important to ensure that you have the right cleaning solution for the fabric you are cleaning as standard cleaning solutions can potentially cause more damage to certain sensitive fabrics instead of cleaning them, so with a team of professional cleaners we use the latest solutions in the cleaning industry to ensure that all fabrics are well taken care of throughout the cleaning process. We have extensive experience cleaning a huge range of materials such as fabrics, upholstery, carpets, curtains and more. Plus we can provide an expert cleaning service to both your home and your working environment, giving you confidence in the diverse, high quality level of service we provide. Seemingly harmless stains such as dust or even spilled water can build over time and even become hazardous to your health, particularly if you suffer from a dust allergy or are asthmatic. Apple Clean uses modern cleaning equipment to ensure that any dark or permanent looking stains are well cleaned to improve your home environment or working environment. We focus on complete customer satisfaction and take pride in providing a first class cleaning service to both homes and businesses no matter how large or small. 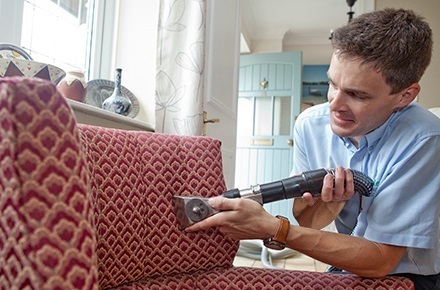 We have received numerous positive reviews on the Checkatrade website and take efforts to ensure that our cleaning experts are well versed in the latest techniques to ensure that your fabrics, carpets, curtains and upholstery remain cleaner for longer. 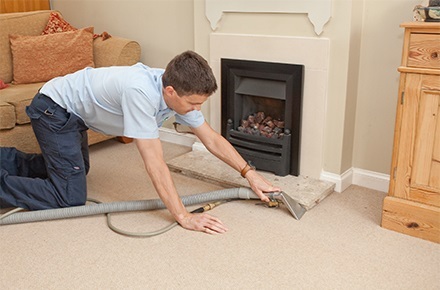 For more information on the cleaning services we provide to both homes and businesses in East Grinstead and the surrounding areas, or for an instant no obligations quote, please do not hesitate to get in contact with us today. Give Jonathan a call on 0800 587 4571 or alternatively fill in the form on the right and we will get back to you as soon as possible. We look forward to hearing from you.